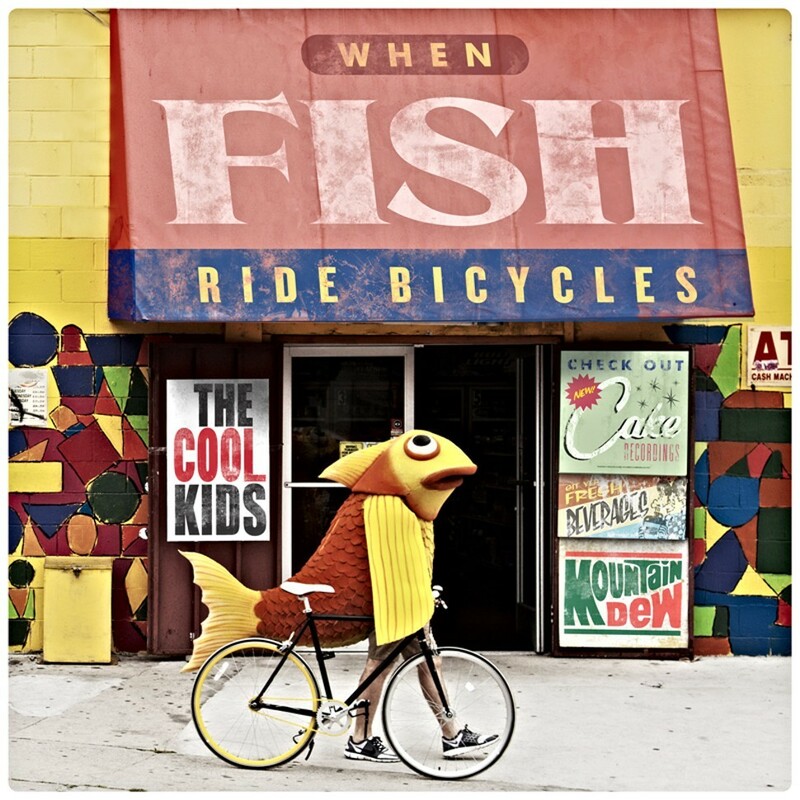 Seeing as how today isn't April 1, I'm going to go ahead and consider the news legit that the Cool Kids' insanely delayed debut album, When Fish Ride Bicycles, finally has a release date. That is, unless we're living in a nightmare world where there's now a second day of the year where everyone on the Internet expects people to find it fun to be lied to, in which case maybe we should all kill ourselves. As I reported back in February, after years of rumors linking the record to any number of labels both underground and above, it finally got picked up for real by Mountain Dew-owned Green Label Sound, with whom the Kids had worked before. The album will feature contributions from Travis Barker and Asher Roth (apparently there's a law saying they need to be on a certain percentage of rap albums released per year) as well as guest turns by the significantly less horrible Ghostface Killah, Bun B, Pharrell Williams, and Mayer Hawthorne, among others.